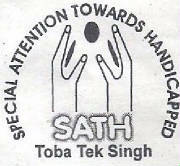 Special Attention towards the Handicapped (SATH) is a non-profit organization working with PWDs. Our work is accomplished through a community based rehabilitation program. 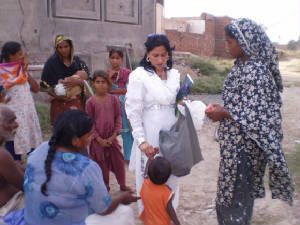 PWDs are frequently neglected in Pakistan. All our work takes place in marginalized communities in both rural and suburban areas Our work began in the year 2000, and we have grown as resource allowed ever since. Our mission is to further promote the aims of our organization and the particular members to the community we support. We strive to make a difference by educating the public and expanding the extent of our influence. Due to a lack of public awareness, and the lack of resources to challenge this with, we frequently find that parents are uncertain how to respond to the arrival of a PWDs. This challenge can be compounded by a similar lack of awareness and training in the community. Our organization works by building the confidence of the PWDs we work. We encourage the development of the educational and vocational skills most relevant to each member and exploring the possibilities these offer for the development of future careers. We believe in developing an individual’s inherent gifts to enable self-sufficiency wherever possible. As resources allow we seek to widen our membership, allowing SATH’s influence in the local community to grow and expand. We want to have fun while we are working on projects together. We believe that developing relationships and friendships is an important aspect of developing participants’ ownership of the organization. • Educational outreach to increase community awareness of the issues surrounding disability and help the able-bodied to accept and value the disabled community members in their midst.